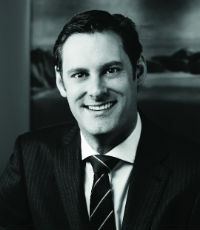 Prior to becoming a director of the firm in 2015, Tim Mitchelson worked at Freshfields Bruckhaus Deringer in London and at Russell McVeagh in Auckland. Mitchelson has broad experience in advising on a range of corporate transactions, and is one of New Zealand’s up-and-coming M&A and capital markets lawyers. He has particular expertise in private M&A and capital raising transactions, and has advised domestic and international private equity and venture capital firms on numerous leveraged buyouts and growth investments. He recently advised AFT Pharmaceuticals on the initial public offering of its shares on the NZX Main Board and ASX, which resulted in an initial market capitalisation of AFT on listing of approximately $310m. He also advised AFT on its pre-IPO fund raising rounds, the first of which featured investment from Milford Asset Management and US-based healthcare fund CRG, and was nominated for the Mid-Market Deal of the Year at the 2015 NZ Law Awards.